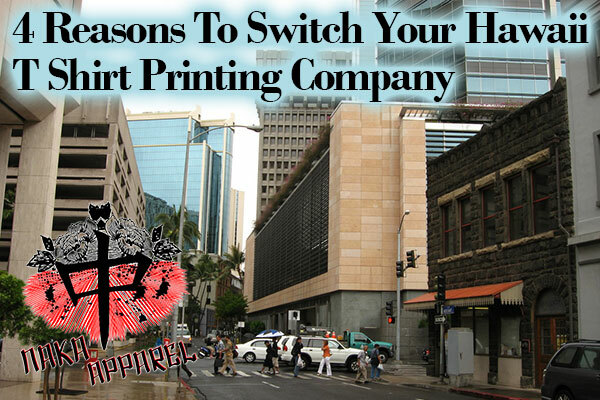 Whether you’re looking to get a small quantity of shirts or fulfill a large order, if you’re looking for a good, reputable t shirt printing Hawaii company to do business with, Naka Apparel is the premiere company to work with. If you’re currently working with a local business, read our article on why you should consider making a change. Like with any process, it’s important to keep things consistent and that’s really hard to do if you don’t have your own equipment. 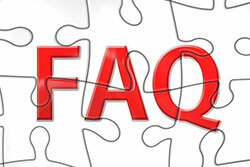 There are places where screen printers will rent time at a shop or supply store to print their jobs. However, while they may be printing on the same equipment, they don’t know who’s been using the equipment in the meantime or a host of other factors that could easily effect the quality of your print. It’s also common for people to print out of storage units. While they may be using their own equipment, oftentimes, they don’t properly maintain and upkeep their equipment. This lack of maintenance can also effect how your shirt turns out, especially if you’re printing a large amount of shirts. You need to work with a company that has their own equipment, maintains it properly and knows how to use their equipment to produce the best quality products on a consistent basis. As with almost every other industry, the garment decorating industry is constantly evolving and coming out with new technology. You need to be sure the company you’re working with is not only up-to-date on the latest technology but has experience and knows how to use it correctly and efficiently. They should not be using your order to “test” out new techniques. This will delay your order being completed and you could end up paying more for their mistakes. Everyone is used to paying a little more for shipping to Hawaii. That’s the unfortunate trade off for living in paradise. But when it comes to custom tshirt printing, local apparel printers will tell you they (or their distributor) brings in products by the container load so they get better pricing for products and that you shouldn’t work with anyone else because it will cost an “arm and a leg” for someone to ship the products to you. But, unless you’re ordering hundreds or thousands of shirts, there really is no savings on the products because the distributor or screen printer will charge you more for lower quantity orders. Knowing that, the real difference in price really comes in the production of the shirts. Even if the company you use can get the products you’re getting done at a competitive price, they still need all the supplies to get the job done, which costs a lot of money to ship to Hawaii. Things like equipment, ink, supplies, etc. all cost more money to get to Hawaii so they, in turn, pass that additional costs to you. So, the real savings comes when you can reduce your production costs. Because we’re located in Hawaii’s 9th Island (Las Vegas), the costs to get the supplies we need are much cheaper and we can pass that savings on to you. 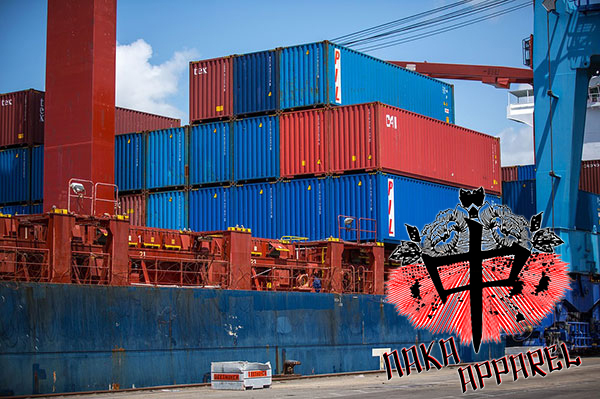 We also work with companies in Hawaii and offer bulk crate shipping if your order is not time sensitive or if you order on a consistent basis. Even though we’re more than 2000 miles away, we still support organizations back home in Hawaii. This is a value that is true to us and something we’ve always lived by. 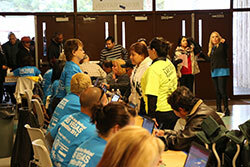 We have done this with several organizations in Las Vegas and we have contributed to the organizations in Hawaii as well. We believe that you should support the community where you do business and since were from there, we will always support the Hawaii community. Although we’ve given you four reasons to use our custom T-shirt printing Hawaii services, we’ll give you one more bonus reason (and this one is the most favorite and fun out of all of them). The most important bonus is that you now have an excuse to travel to Las Vegas and stop by and say hello. We would love to hear from you. You can contact us at (702) 763-8877 or by email at info@nakaapparel.com.